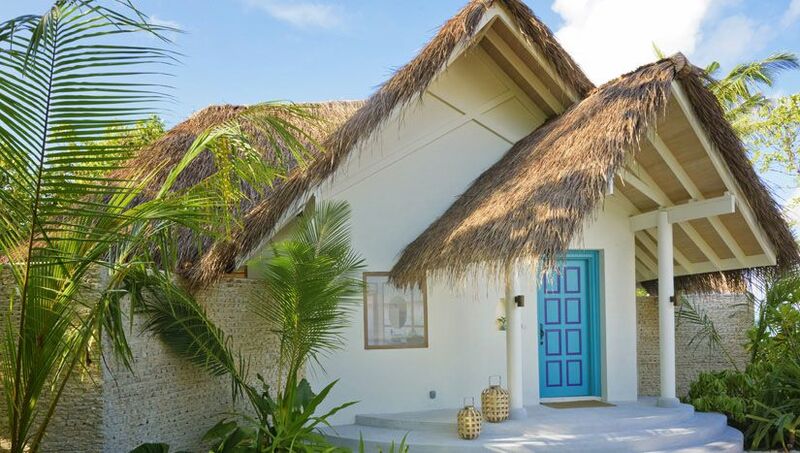 Set directly on the white, powdersoft, sand beach amongst lush tropical palm trees and greenery, these huge [290sqm] thatched-roof villas all have ocean views and open-up 180-degrees to the huge sundeck. 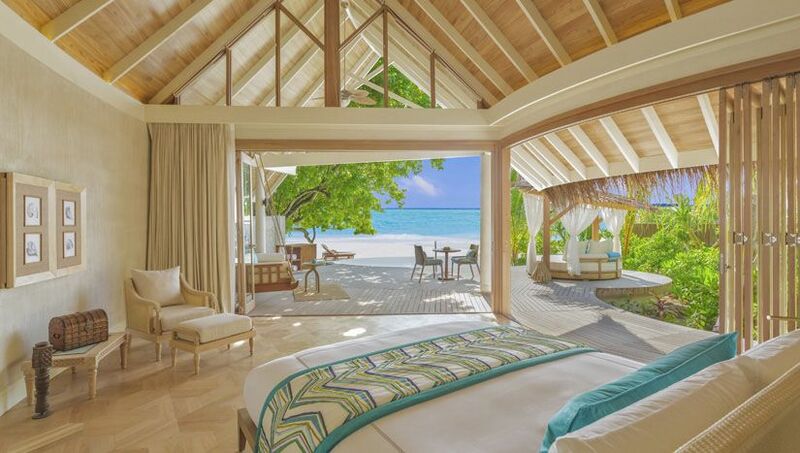 Inside the villa is a king bed with views of the beach and ocean; a discreet flatscreen-TV; high ceilings; private wine fridge; full size fridge/mini bar; coffee machine; ceiling fan and air conditioning and custom-made furnishings. 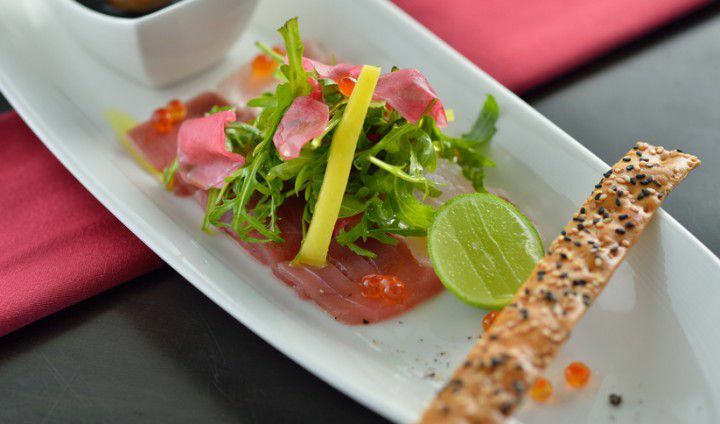 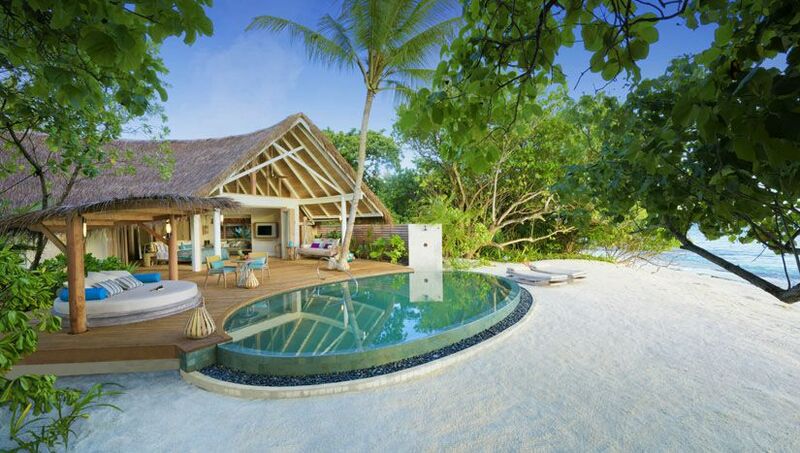 The contemporary interior design includes many local touches giving a sense of being truly in the Maldives. 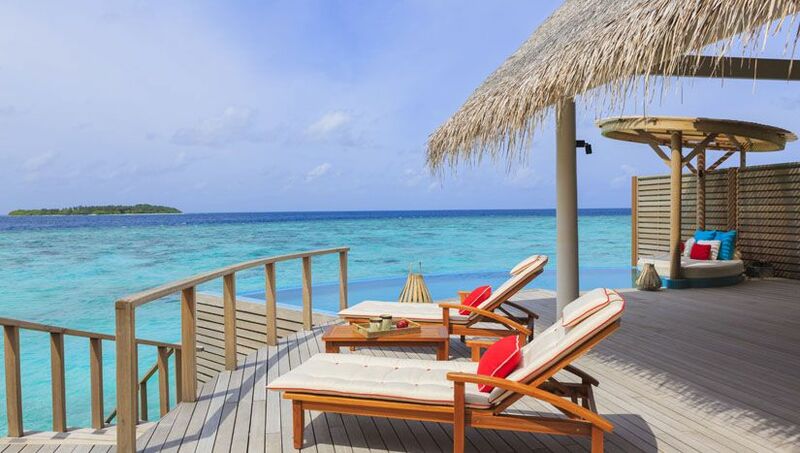 The sundeck has a 36 square metre private freshwater infinity pool; Maldivian-style swing chair; sun loungers; umbrella; table with chairs and an oversized daybed by the pool. 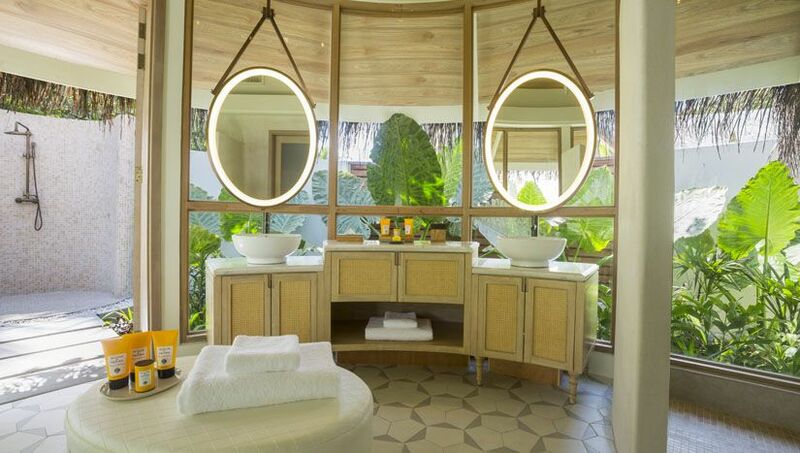 The luxurious air-conditioned bathroom offers an indoor rain shower; a separate deep bathtub as well as an outdoor open-air garden-shower. 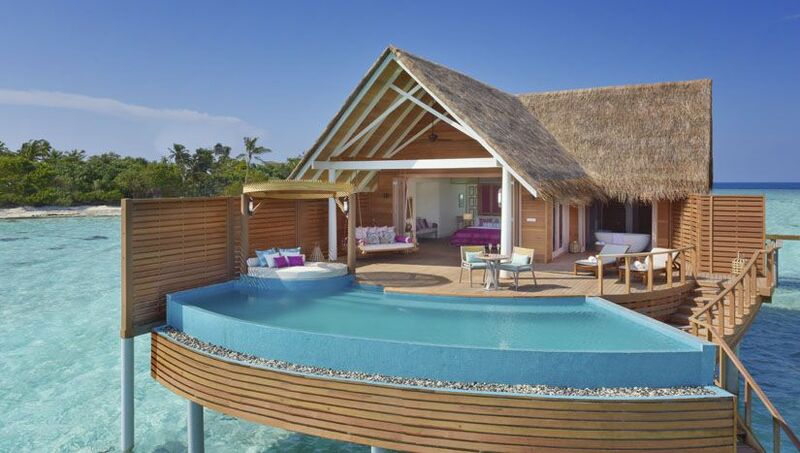 Occupancy: two adults and one child over the age of nine, or three adults. 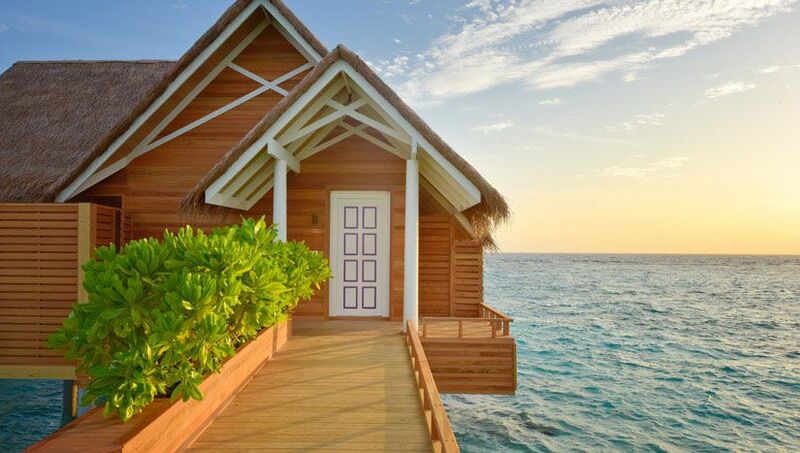 On stilts over the ocean, these spacious [245sqm] thatched-roof villas are serene and full of light, opening up to a huge sundeck which has a private freshwater infinity pool; Maldivian-style swing chair; sunloungers; umbrella; table with chairs; an oversized daybed by the pool and steps into the ocean for easy access to the nearby coral reef. 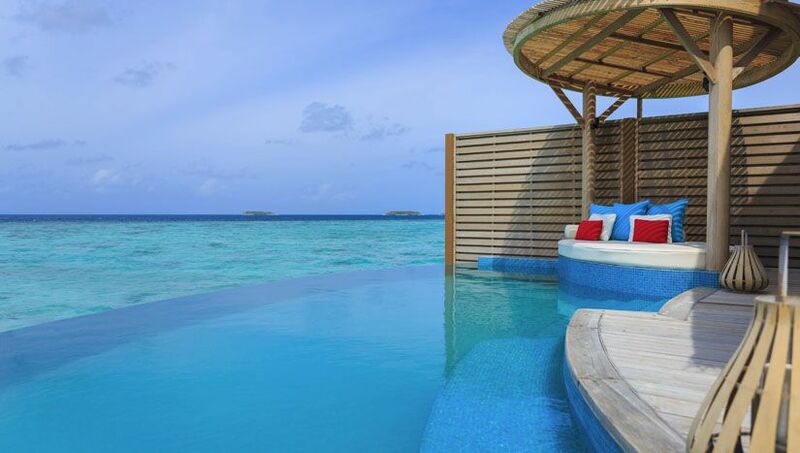 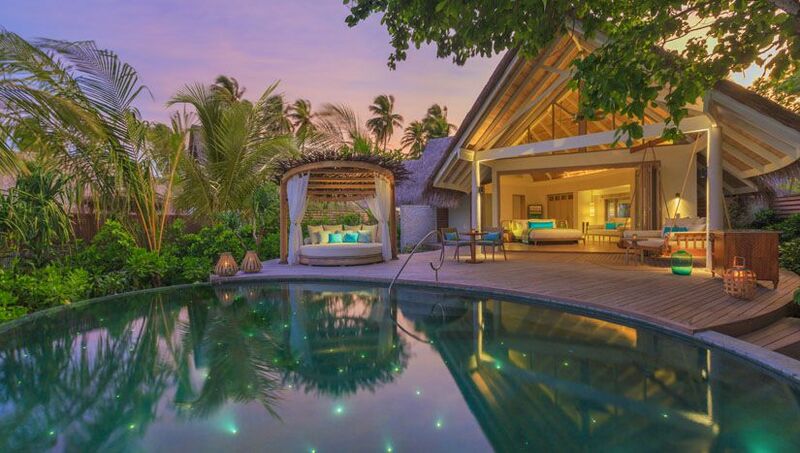 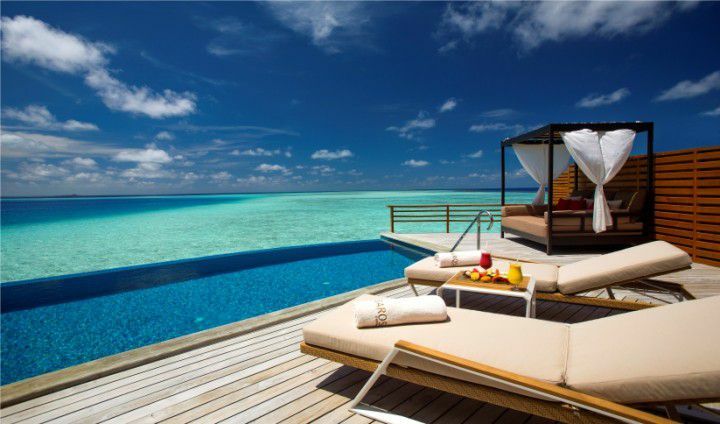 At 42 square metres, the private pool is one of the largest in the Maldives. 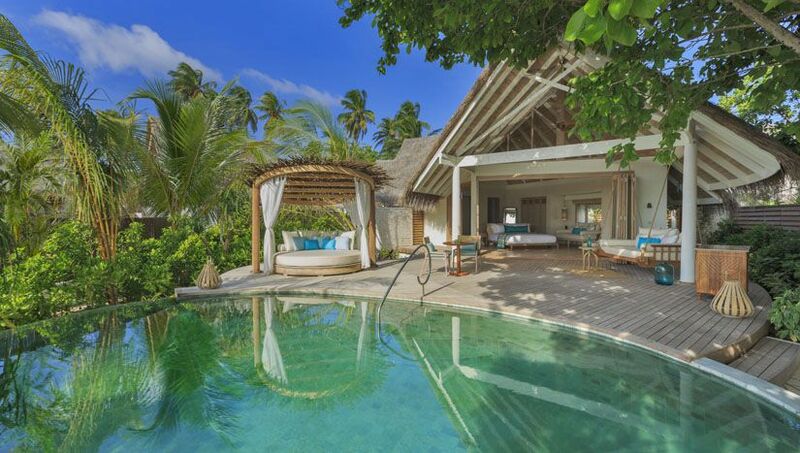 Inside the villa is a king bed facing the ocean; a discreet flatscreen-TV; high ceilings; private wine fridge; full size fridge/mini bar; coffee machine; ceiling fan and air conditioning. 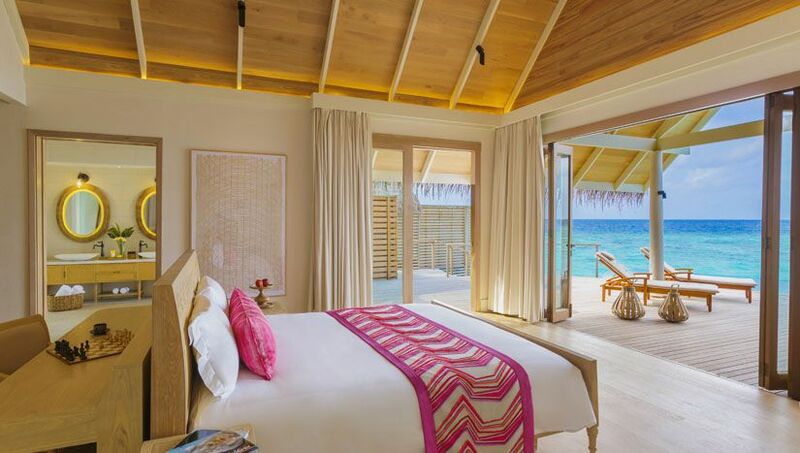 The interior design is inspired by Maldivian heritage and culture, with furnishings custom-made for Milaidhoo. 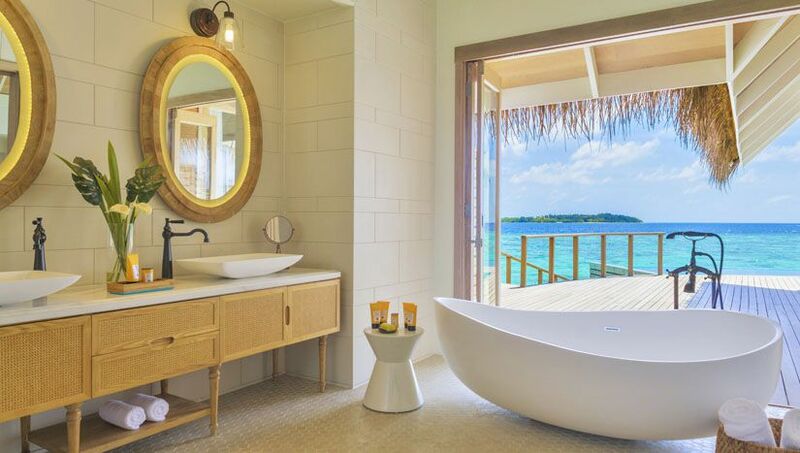 The huge bathroom has a separate deep bathtub with ocean view and tropical rainshower with a glass wall offering views of the sea below. 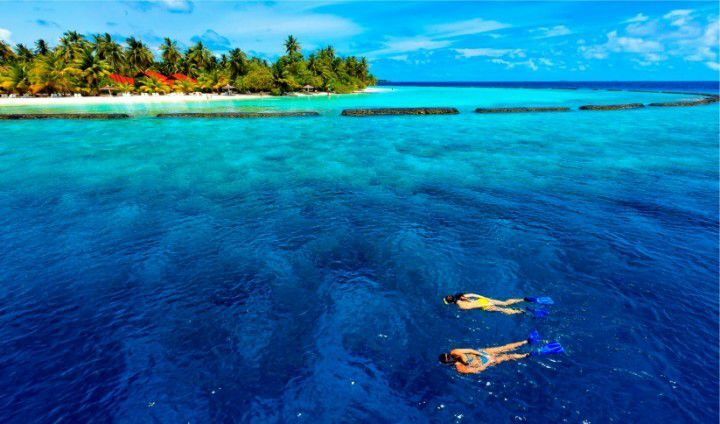 Set in Baa Atoll’s beautiful UNESCO Biosphere Reserve, this spectacular, secluded 50-villa island retreat is just a 35-minute seaplane flight from Maldives International Airport. 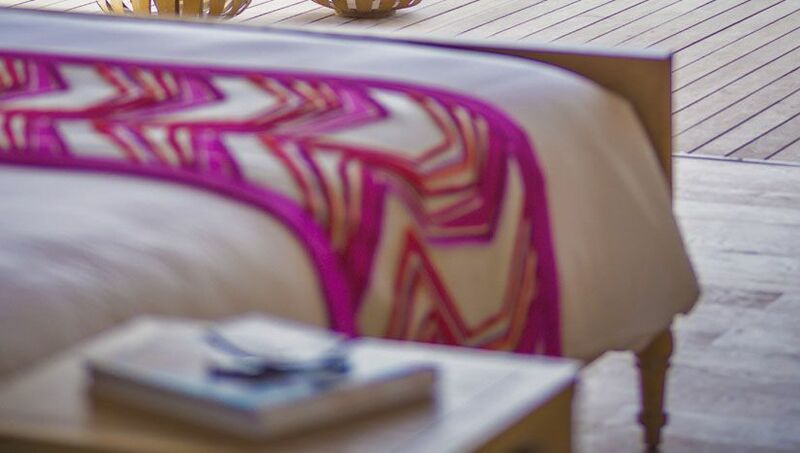 Stylish, intimate and natural; here our guests find a place where they truly belong. 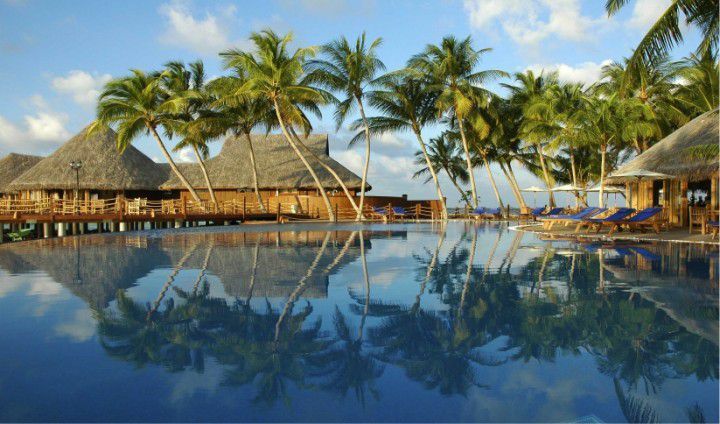 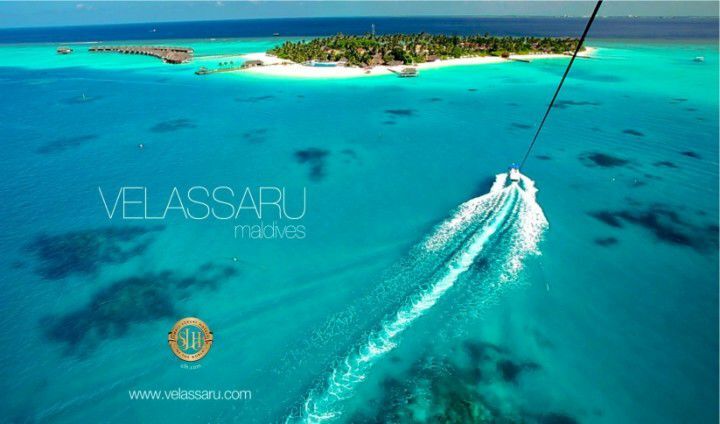 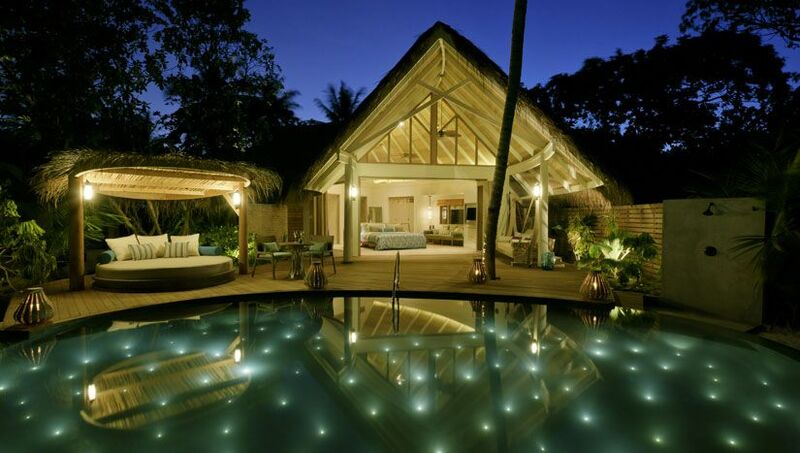 Milaidhoo Maldives is a member of The Small Luxury Hotels of the World.